The Scientific and Technical Advisory Panel of the Global Environment Facility (STAP/GEF) and the Programme of Research on Climate Change Vulnerability, Impacts and Adaptation (PROVIA) of the United Nations Environment Programme (UNEP) are undertaking a joint activity that will inform the scientific basis for measuring, monitoring and evaluating climate change adaptation. Most of the existing frameworks have been developed from the perspective of project level M&E. 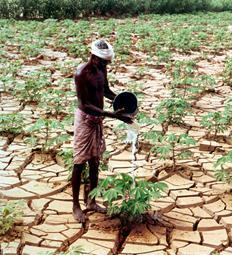 However, with increased attention on mainstreaming adaptation into medium to long-term development activities, as reflected in the growing importance of the National Adaptation Plan (NAP) related activities, focus is gradually shifting to programmatic, institutional and systemic interventions that emphasize the creation of policy frameworks and enabling environments. A set of papers have been commissioned on this topic and a workshop was held in Mumbai, India, January 22-24, 2015 to spur fresh thinking with regard to the larger issue of developing measuring, monitoring & evaluating systems at programmatic and national levels.